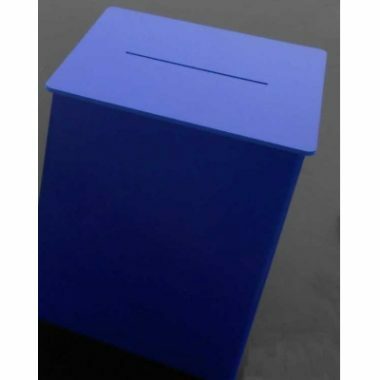 Printed Foamex Lockable Suggestion Box are manufactured from durable 5mm foamex. 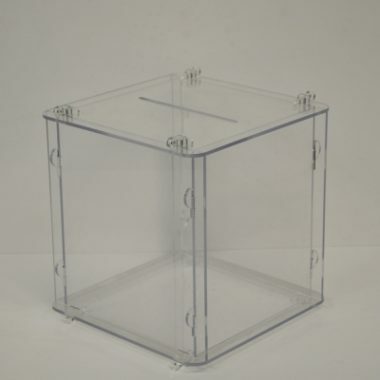 Available in 2 sizes 240mm x 240mm and 320mm x 250mm. 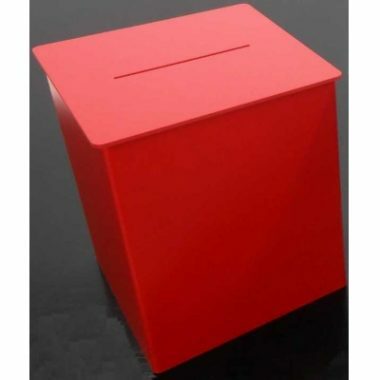 These suggestion boxes are ideal for collecting business cards, competition entry forms, suggestion cards and leaflets. 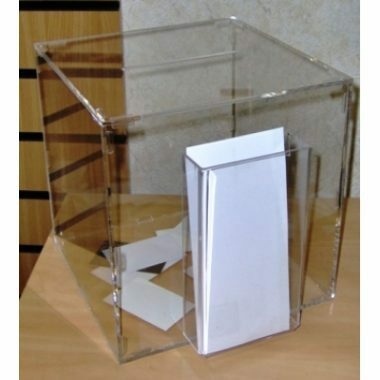 Strong yet lightweight these boxes are ideal to take to exhibitions, seminars, trade shows or just to have in your foyer or reception areas. GJ Plastics Ltd has recently purchased a HP Flatbed printer. 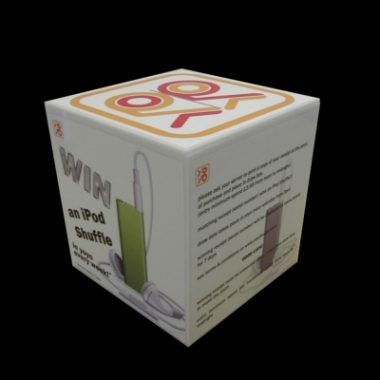 This investment now allows us to print direct onto the foamex in full high quality colour. 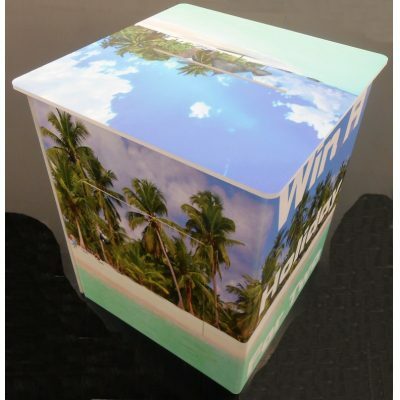 We can print photographs, logo’s or your corporate branding direct onto the the surface of the material with scratch resistant, durable UV ink. 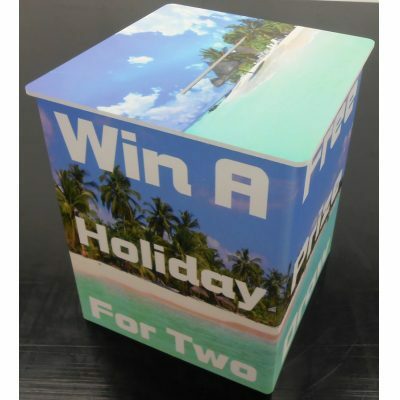 We have pioneered the technique of printing the competition boxes first, then heat bending them without damaging the ink. This unique process combines all the latest cutting edge technology to produce outstanding results. 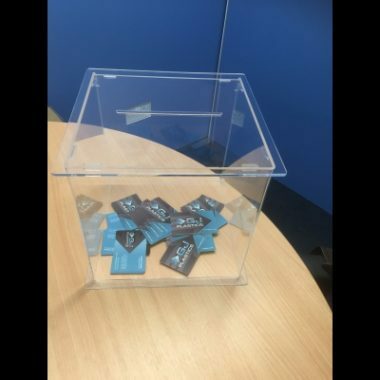 Each foamex entry box is lockable, with a small door in the rear of the box to remove the entries forms or business cards. We can also print over the door, so even the back panel has a almost seamless appearance.